Tune in each week if you want more happiness in your life! 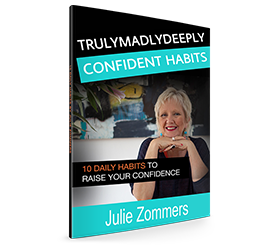 Your host Julie Zommers introduces you to a new Happiness Principle in her podcasts episodes. Julie has a BLT (brilliant little tip) of the week for you to try, and she shares stories of real people who have overcome obstacles to embrace a TrulyDeeplyHappy life! Book reviews, program reviews … it’s all there in this informative, engaging and fun show. There’s a new style podcast where I chat to you freely about all things that can take you one step at at time to happiness. The latest picking from TrulyMadlyDeeply happy .. Heart Messages. Free for you! Next: My Food for Thought segment is all about letting go of your Solo Cape .. how to stop going it alone and doing everything by yourself. Finally, the Inspiration segment you will love: all about ‘On the Couch’ a backstage view of a practioner’s life. Enjoy! And you’ll love the book review this week, ‘365 Thank Yous’, by John Kralik. This ‘Average Joe’ changed his life around by writing a thank-you note each day for 365 days. It’s all fun, and it’s all about happiness, step by step! I hope you enjoy. In this week’s podcast Julie Zommers talks all about meditation and learning how to blend meditation into your daily life. This weeks conversation is with Belinda Anderson from Australia, talking about her book, ‘Living From the Inside Out‘. Belinda shares her journey from a rocky past to a joy-filled life. Her account is raw and honest. Click here for a list of 100 benefits of plugging in. In other words, MEDITATION! Start before you’re ready! I share my BLT (brilliant little thought) of the week for you to try, and share a conversation with a special guest who is embracing a TrulyDeeplyHappy life, Tina Sibley, who at the age of 53 has moved into the cyber-world! Plus I’m delighted to introduce you to my new book which I’m sure will change your thinking! 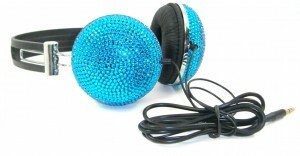 Story: Tina Sibley, the Webinar Diva! Who shares her story of coming online in her fifties! I read this article and found it very interesting, thought it might be something for you. The article is called Podcasts and is located at https://trulymadlydeeplyhappy.com/podcasts/.